Trump's Executive Order On Family Separation: What It Does And Doesn't Do The president ended a policy that sent children to government-run facilities away from their parents, but critics say he created new problems, and kids already held may be there indefinitely. 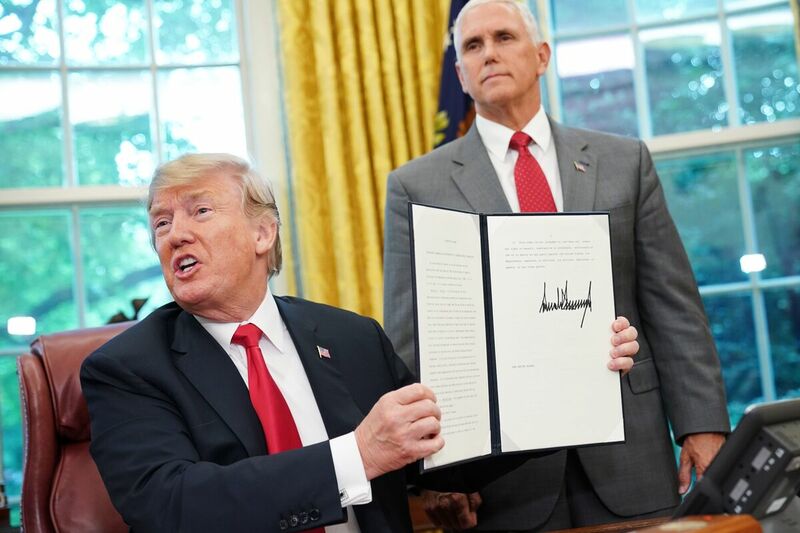 Watched by Vice President Pence, President Trump on Wednesday shows an executive order on immigration aimed at putting an end to the controversial separation of migrant families at the border. A previous version of this story misspelled U.S. District Judge Dolly Gee's last name as Gree.